*** India-China standoff: What is happening in the Chumbi Valley? Depending upon the situation, we must mobilise to call China's bluff and be prepared for border skirmishes or even a limited war. "Yatung was a small spread out town... we were received by representatives of the Chinese General in Command at Lhasa, and of the Dalai Lama and Panchen Lama." Thus wrote Jawaharlal Nehru to the Chief Ministers of India on October 15, 1958, describing his stay at Yatung for two days in September-October 1958, during his to and fro journey to Bhutan through the heart of the Chumbi Valley. Today it seems like a fairytale, but for 50 years up to 1954, we had an Indian Army Infantry Battalion located at Yatung with a detachment at Gyantse. These were gradually withdrawn after the Panchsheel Agreement was signed on 27 April, 1954. We continued to have our Consul General in Lhasa and Indian Trade Agency trading posts at Yatung, Gyantse and Gartok upto 1962 when they were wound up. Chumbi Valley has been in the news for a couple of weeks owing to reports about the Chinese intrusion into the Doklam (Donglang according to China) Plateau. There has been some confusion created about the place of intrusion with names like "trijunction", "Doka La", "Sikkim Border", "Donglang", "Mount Gipmochi (Gyemo Chen)" and "Doklam" used by the angry People's Republic of China (PRC) and People’s Liberation Army (PLA) spokespersons, and our media. Doklam Plateau is an 80-89 square km plateau with average altitude of 4,000-4,500 meters, located in Western Bhutan. It is a salient of Bhutanese territory that juts north into the Chumbi Valley with India (Sikkim) to the north-west, west and south-west and Tibet to the north, east and south-east. The trijunction of India, Bhutan and Tibet is on the north-western edge of the Doklam Plateau where the Batang La post of India is located and north-west of which along the crest line are the Indian defences of Sikkim. For centuries, the Doklam plateau, high up in the Himalayas, was a quiet grazing area for Bhutanese herdsmen. 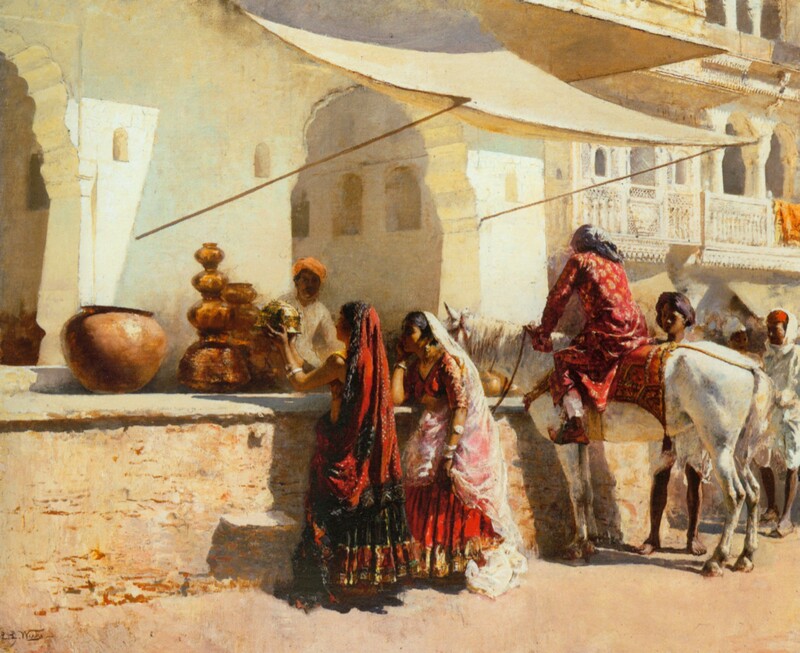 Prior to India's Independence, neither the British nor the Chinese seem to have shown any interest in it when they negotiated various border settlements between themselves. It was only after the 1962 border war between India and China that the narrow plateau that abuts the trijunction between India, China and Bhutan became a bone of contention. Since then, China has repeatedly disputed Bhutan's territorial claims over Doklam. Beijing considers the plateau vital to fortify the dagger-shaped Chumbi Valley by piercing the trijunction of these countries. The trijunction is of immense strategic significance to the three countries. In recent years, China has been building an elaborate network of roads wide enough to transport artillery guns, light tanks and heavy vehicles to enhance its military presence. Doklam is critical as it brings China even closer to the India border in a vulnerable location towards the direction of the 27-km-long Siliguri Corridor or 'chicken's neck' that links the northeastern states to the rest of India. How much longer will we continue to believe that the problem in Kashmir is merely “political”? It is about time that we as a nation put an end to this tomfoolery once and for all. The lynching of deputy superintendent (DSP) of Jammu and Kashmir police Mohammed Ayub Pandith was shocking and reprehensible. He had spent almost 30 years in the force and risen slowly but surely through the ranks. His family, like many others from downtown Srinagar, were followers of the Mirwaiz clan, whose latest scion is the separatist leader Mirwaiz Umer Farooq; Pandith was part of Farooq’s security detail. The journalist Rahul Pandita has described the incident, which took place on the intervening night between 22-23 June, on his Twitter timeline. What emerges from a perusal of these tweets and accounts of the incident compiled by other observers is chilling. Pandith, a practising Muslim and a member of the Jammu and Kashmir police force, was lynched on the twin suspicions of being (a) a Kashmiri Pandit and (b) an Intelligence officer. The man whose security Pandith was in charge of, did not even deign to meet the family of the deceased. Geography in terms of boundaries throws up myriad challenges, classified as cartographic anxieties. If not managed well, these magnify into strategic vulnerabilities. Siliguri Corridor, a tenuous link with eight North-East states and gateway for more than 50 million north-easterners, is indeed one such vulnerability. This 200-km stretch with width varying from 17 to 60 km is aptly referred to as Chicken’s Neck and measures approximately 12,203 sq km. The narrowest 4 km strip towards western edge, Tetulia corridor is wedged between Nepal and Bangladesh. The eastern part of the Corridor is wider and borders Bhutan and Bangladesh. The Chumbi valley tapering into Dolam/Dokalam plateau is barely 100 km away. Mapping the corridor is a challenge as its limits are a matter of interpretation, exemplified in Wikipedia assertion on narrowest point being 27 km, which is closer to average width. The corridor has major airbases: Bagdogra and Hashimara and an upcoming Army aviation base at Shaugaon. A large number of Army and CAPF installations are located in this narrow stretch. In keeping with ‘one border, one force’ policy, the responsibility of borders is divided between the Army and ITBP for China; SSB for Nepal and Bhutan and Bangladesh with BSF. Multiplicity of forces and agencies requires an effective and tailor-made coordination mechanism. Most of the border except for Bangladesh is unfenced and porous with treacherous riverine stretches. Tea, timber and tourism are the main drivers of economic activity, controlled from Siliguri. 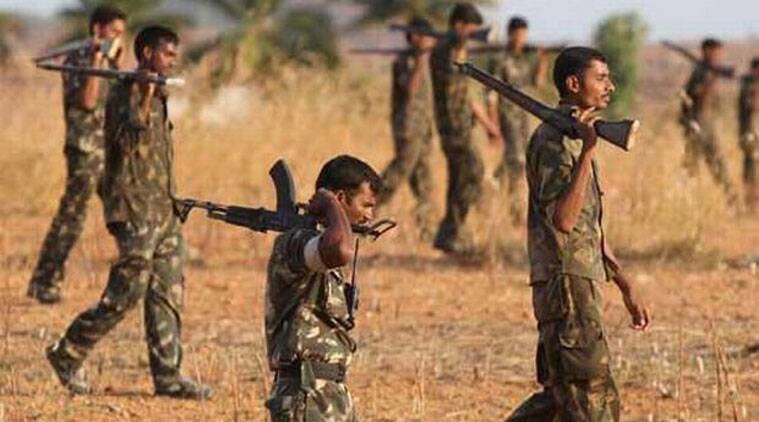 It is unfortunate that even though we have a strong government at the Centre, the internal security situation of the country has not shown any marked improvement over what it inherited from the UPA regime. This has essentially been because the fundamentals of security management have not been given due importance and, like previous governments, the NDA regime has also preferred to swim with the tide in areas where bold departures were called for. Successive governments have not cared to codify the country’s internal security doctrine and the present government has also ignored this vital area and taken ad hoc decisions on crucial matters. The US and UK revise their national security doctrines every year and place them in the public domain. We have done nothing of the sort, despite the fact that our internal security problems are far more complex. There is no long-term policy for Jammu and Kashmir, nor is there any strategic vision to tackle the Maoist insurgency. No wonder, while violence levels are periodically brought down, they spiral again, and it becomes a game of snakes and ladders. Another inexplicable flaw has been the absence of an institutional response with whatever mechanisms are or were in place. The National Security Advisory Board (NSAB) was liquidated. Not that it was doing a great job, but then it is for the government to take the best out of a select group of experts from different fields. If they were made to vegetate, it was not their fault. Closing shop was not the answer. The NSAB has now been revived, though in an emaciated form. “Otherwise, under India’s logic, if the Pakistani government requests, a third country’s Army can enter the area disputed by India and Pakistan, including India-controlled Kashmir,” the article said. The ongoing deadlock during Doklam Plateau is reduction a operation occurrence involving India, China and Bhutan and some-more a entrance together of geopolitical faultlines in Asia that were prolonged set on a collision course. China’s vulgar aggression, and India’s refusal to be intimidated by it, branch from a opposite realities they live in. China believes it is unfailing to lead Asia, and indeed a world, by a routine in that other actors are though bit players. India is strongly assured of a destiny as a good energy and an indispensable actor in any review to re-engineer tellurian regimes. It is opposite a backdrop of these competing ambitions that China’s provocations on a Doklam Plateau contingency be viewed. As a competition to settle an Asian sequence – or during slightest settle who gets to conclude it – intensifies, China will exam Indian solve and execute it as an dangerous partner to smaller neighbours. The stream differential in capabilities allows China to incite and know a range of India’s domestic ardour for confrontation, and emanate a allotment of escalation and de-escalation that would have consequences for New Delhi’s reputation. Its limit transgressions are directed during changing contribution on a ground, and permitting for new terms of settlement. For China to rivet in a diversion of chicken, however, would be counterproductive. A famous line from the blockbuster Singham had actor Prakash Raj playing Jaykant Shikre say: "Mere saath kuch bhi karneka... mera ego hurt nahi karneka". By refusing to be part of China's One Belt One Road (OBOR) and not even sending a representative, like Japan and the US did, India hurt China's ego. A stand-off like the one we are seeing in Sikkim was only expected. There are multiple reasons for and messages coming through the Sikkim standoff. China was very keen that India be part of OBOR. In response to India's unhappiness over the CPEC (Chinese Pakistan Economic Corridor), its ambassador even offered to rename the CPEC, an offer that was later withdrawn. By consistently reiterating that the CPEC passes through Jammu and Kashmir, which India rightfully considers its own territory, India upset China further. A country that is used to having its own way was taken aback by this show of spine. 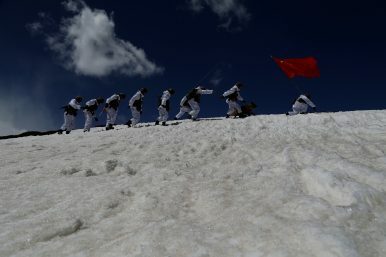 Even standing still in the bitterly cold and windswept Doklam plateau, which is being lashed by periodic sharp showers now, will tax the fittest of men. At that altitude (more than 16,500 feet), oxygen is rare and breathing takes work; many layers of clothing are never enough to ward off the chill that threatens to freeze even the bones. But hundreds of Indian army soldiers, their arms locked and the automatic rifles on their shoulders pointed towards the ground, have been standing in Doklam and some areas further south for two to three hours at a stretch to form a human chain. The Indian human chain confronts a similar one by Chinese soldiers, and is separated by about 10-12ft of sandy soil on which little can grow. The human chain – soldiers have rotating duties – has been in place for more than three weeks now. There the situation stands, with Indian and Chinese troops using banners and loudspeakers to stake out their positions. No shots have been fired so far. The Chinese foreign ministry and PLA spokespersons have gone on the offensive; as has the Indian media. In contrast, India’s external affairs ministry has taken a sober but firm position: emphasising China’s violation of agreements with India and Bhutan, to not unilaterally change the status quo in disputed areas. The world is a network. Obvious enough. Social networks, financial networks, news networks, multinational corporations. The world has always been a network. Less obvious. But tribes, trade, cultures, religions, diseases are all complex, interacting networks of individuals. The “your god/my god” argument is merely the forebear of “my politics/your politics”. The basic rules of the networks haven’t changed. Least obvious. What has changed is how connected the average person has become to much larger networks, and how that affects the behaviour and responsiveness of the network. What are networks, and why do they matter? In late May, Indian Prime Minister Narendra Modi chose to commemorate three years of his administration by opening the country’s longest ever bridge over the Lohit river, Called the Bhupen Hazarika Setu (BP), the bridge will significantly cut down travel time to the easternmost parts of Arunachal Pradesh (AP), an Indian state that has been publicly claimed in its entirety by Beijing since 2006 as “Southern Tibet.” The high-profile opening was also intended to convey a message to the Chinese that India was moving forward with its current strategy of developing infrastructure in regions bordering Chinese-controlled territory in order to facilitate the defense of every inch of territory it considers its own. Overall, at a time of heightened India-China tensions and fears about Sino-Pak military collusion potentially culminating in a two-front situation, India is now working to upgrade its military posture vis-a-vis China from one of dissuasion to one of deterrence. A conventional deterrence posture toward China requires the creation of appropriate last mile connectivity to facilitate axes of advance for counterstrike forces in addition to being able to reinforce “in sector” defensive formations. After years of deliberately keeping its frontier with China devoid of much infrastructure under the premise that the absence of such connectivity would lead to invading forces getting bogged down, India is now scrambling to match China’s extensive infrastructure in the Tibet Autonomous Region (TAR). In what appears to be a bizarre suicide pact, impoverished villagers are walking dangerously close to tigers in Uttar Pradesh’s dense Pilibhit forest, hoping to be killed by the hulking, 500-pound wild cats. And then, get their half eaten bodies picked by family members and kept in sugarcane fields — so they can demand compensation from the government. In India, deaths caused by wild animals outside forests are compensated with a Rs 10 lakh purse, (but) not inside tiger habitats. “This is a dangerous trend — totally shocking, but a grim reality, ” says Kailash Prakash, DFO of the Pilibhit Tiger Reserve, which is spread across 602 kms, close to the Nepal border, and has a little over 50 tigers, including eight tigresses with cubs. The 50 plus figure is an increase of 10 more tigers from the last census conducted in Pilibhit reserve in 2016, suggesting an increase in the tiger population. On June 16, 2017, Chinese People's Liberation Army (PLA) entered the Doklam area and attempted to construct a road. The Doklam area lies at the junction between China, North-Eastern India of Sikkim and Bhutan and is currently disputed between Beijing and Thimphu. On July 3, 2017, a Chinese Foreign Ministry spokesperson claimed that the area of Doklam was well demarcated and it belonged to China in view of the Convention signed between Great Britain and China on March 17, 1890, at Calcutta. As per Article (1) of Convention of 1890, it was agreed that the boundary of Sikkim and Tibet shall be the crest of the mountain range separating the waters flowing into the Sikkim Teesta and its affluents, from the waters flowing into the Tibetan Mochu and northwards into other rivers of Tibet. The line commences at Mount Gipmochi, on the Bhutan frontier, and follows the above-mentioned water-parting to the point where it meets Nepal territory. However, Tibet refused to recognise the validity of Convention of 1890 and further refused to carry into effect the provisions of the said Convention. In 1904, a treaty known as a Convention between Great Britain and Tibet was signed at Lhasa. The current standoff between Chinese and Indian troops at the tri-junction of the borders with Bhutan could have wide ramifications. China is, seemingly, assailed by a combination of factors that are detrimental to its economy and international standing. India could potentially retaliate against China using economic and diplomatic pressure. Doing so could result, however, in military conflict between the two countries, which is not something either one wants or can afford. A recent editorial in China’s Global Times remarked that Beijing could easily review its current official stance on the Indian state of Sikkim and work with those people in Sikkim who are dissatisfied with the state being administered by New Delhi by fomenting nationalism and demands for complete independence from India. Since the newspaper is often viewed as being the official mouthpiece for China’s authoritarian government, this announcement ought to be taken seriously. The editorial and Beijing’s reaction to the standoff between its troops and their Indian counterparts at the tri-junction of the Bhutanese, Chinese and Indian borders, it would appear, is a reaction born of the frustration caused by several factors. A usually quiet stretch of land in the desolate mountains of the Himalayas that separates China and India has grabbed international attention this week, as tensions escalated over a fresh border dispute between the rising Asian powers. Although it remains largely unclear what exactly happened along an unmarked border in the remote tri-junction of Sikkim, Tibet and Bhutan, as many as 3,000 troops have been deployed by each side in a “virtually eyeball-to-eyeball confrontation”, Indian media reported, citing army sources. Diplomatic observers from both countries said they were surprised that China’s building of a road in the Donglang area, also known as Doka La, so quickly turned into the biggest military stand-off between the two armies in years. The incident happened at a delicate time in the bitter, long-running territorial dispute between the world’s two most populous nations. 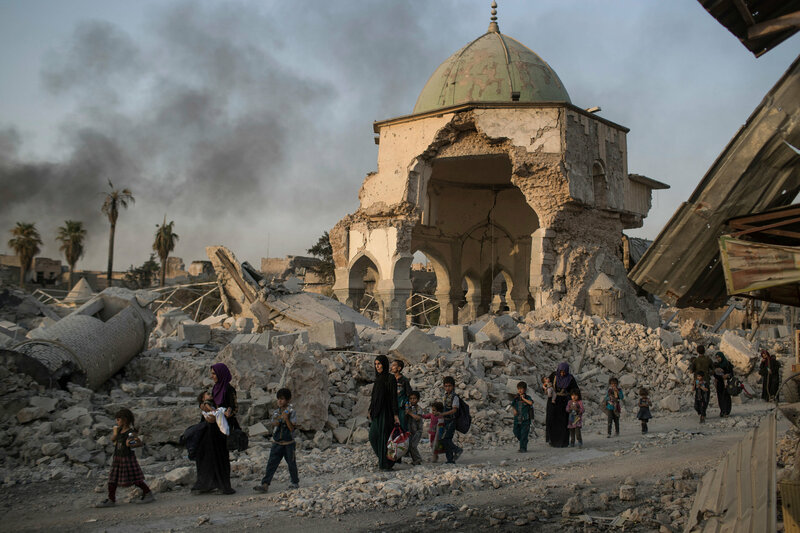 It has lasted for half a century, and includes a bloody war in the 1960s and sporadic skirmishes since. Analysts believe the face-off once again shows the complexity of the border disputes, which remain a major source of instability in bilateral ties. It also underlines the tense relations amid deep-rooted mistrust and hostility between China and India as they jostle for dominance in the region. The standoff began when the Chinese started construction of a road up to Yadong town in the Chumbi Valley. The narrow stretch of land touches India and Bhutan where China has a very small strip of land in what is actually Tibet, not enough to build even a footpath. The Chinese attempt seems to be to take the entire land between India and Bhutan and become an entity in the border. The lower portion of the Chumbi Valley points south towards India touching the Chicken Neck, highly sensitive to India and Bhutan. Considering the narrow approach road, China has been claiming 269 sq kms in the border as belonging to them. In 1996, China offered to swap this area with Bhutan for 495 sq kms of land in the Pasamlung and Jakarlung Valleys in the north-central area of Bumthang during one of the many border talks between Beijing and Thimpu. Bhutan refused to fall for the deal as the land in question was also legitimately claimed by Bhutan as their own land, forcibly taken over by China when they occupied Tibet. In fact there is a history to the area and China's desperation in getting a foothold in Doklam. The Thucydides Trap Will America and China go to war? ON JULY 2nd an American guided-missile destroyer sailed within 12 nautical miles (22.2km) of Triton, a tiny Chinese-occupied island in the South China Sea. It was on a “freedom of navigation” operation, sailing through disputed waters to show China that others do not accept its territorial claims. Such operations infuriate China. But they have not brought the two superpowers to blows. So far. Graham Allison, a Harvard scholar, thinks the world underestimates the risk of a catastrophic clash between China and the United States. When a rising power challenges an incumbent, carnage often ensues. 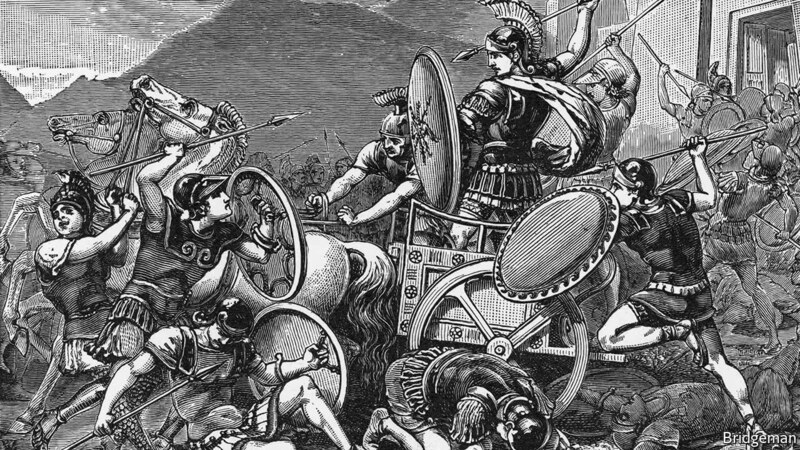 Thucydides, an ancient historian, wrote of the Peloponnesian war of 431-404 BC that “It was the rise of Athens and the fear that this instilled in Sparta that made war inevitable.” Mr Allison has examined 16 similar cases since the 15th century. All but four ended in war. Mr Allison does not say that war between China and the United States is inevitable, but he thinks it “more likely than not”. This alarming conclusion is shared by many in Washington, where Mr Allison’s book is causing a stir. So it is worth examining his reasoning. America has shaped a set of global rules to suit itself. China has different values and different interests which it would like others to accommodate. Disagreements are inevitable. The ongoing standoff at Doklam Plateau is less a boundary incident involving India, China and Bhutan and more a coming together of geopolitical faultlines in Asia that were long set on a collision course. China's wanton aggression, and India's refusal to be intimidated by it, stem from the different realities they live in. China believes it is destined to lead Asia, and indeed the world, by a process in which other actors are but bit players. India is strongly convinced of its destiny as a great power and an indispensable player in any conversation to re-engineer global regimes. It is against the backdrop of these competing ambitions that China's provocations on the Doklam Plateau must be viewed. As the race to establish an Asian order - or at least determine who gets to define it - intensifies, China will test Indian resolve and portray it as an unreliable partner to smaller neighbours. The current differential in capabilities allows China to provoke and understand the limits of India's political appetite for confrontation, and create a pattern of escalation and de-escalation that would have consequences for New Delhi's reputation. Its border transgressions are aimed at changing facts on the ground, and allowing for new terms of settlement. For China to engage in a game of chicken, however, would be counterproductive. SparkCognition, which is already providing services to dozens of aviation-related firms, recently received investments from Boeing and Verizon as part of its initial $32 million funding round. The company has also attracted the interest of former and current Pentagon officials. Retired Marine Corps Gen. John Allen is a board member. Among the firm’s senior corporate advisers is Wendy Anderson, who served as chief of staff for Deputy Defense Secretary Ash Carter and as deputy chief of staff for Defense Secretary Chuck Hagel. The Pentagon has made no secret that it wants to pair humans with machines to help them make decisions faster. The military has been looking for ways to automate intelligence processing using a new algorithmic warfare cell. The work done by SparkCognition appears to fit into the sweet spot. Already, these algorithms are being used by commercial firms to forecast failure rates for ship turbines and pumps. And they can predict more than when equipment will fail, but also the type of failure and why it’s failing. In recent weeks Israel and Hizballah continued a time-honored tradition that tends to flare up in the hot months of summer: exchanging harsh words and threats regarding what each side will do to the other in the next war. These are not empty threats. Each side has the ability to inflict tremendous damage on the other. But even though both sides are ready for a war, neither Israel nor Hizballah wants one now. The main purpose of their heated rhetoric is the maintenance of deterrence and alertness. However, a recent development might raise the temperature even more. In a speech at the Herzliya Conference on June 22, Israel’s head of military intelligence, Maj. Gen. Herzi Halevi, basically confirmed prior reports in Arab media that the Iranian Revolutionary Guard Corps (IRGC) is working to establish an independent weapons industry in Lebanon focused on advanced missiles. This worrying development reportedly had become the focus of the Israel Defense Forces (IDF) and the Israeli cabinet in recent weeks, with some wondering if there will be a point at which Israel will need to execute a preemptive strike in Lebanon that might spark a war. Army Drones Fight Video "Hacking" & "Jamming"
The Textron-built Universal Ground Control Station is being engineered with new performance-enhancing software to secure drone controls and drone video feeds from hacking, interference and cyberattacks. The Army and Textron are adding new computer processing power and cyber-hardening technology to the current inventory of ground control stations operating drones in combat, as a way to better defend against enemy "hacking," "jamming" and "interference" with video feeds, service officials said. The Textron-built Universal Ground Control Station (UGCS), which currently operates the Army’s Shadow and Grey Eagle drones, is being engineered with new performance-enhancing software to secure drone controls and drone video feeds from hacking, interference and cyberattacks. As recently as 2014, some Western cyber experts were describing the cyber capabilities of North Korea (the Democratic People’s Republic of Korea, or DPRK) with apparent indifference, such as Jason Andress and Steve Winterfield in Cyber Warfare: Techniques, Tactics and Tools for Security Practitioners, who characterized the DPRK’s capability to carry out cyberattacks as “… questionable, but [it] may actually exist.”1 The well-known November 2014 cyberattack attributed to the DPRK, executed against Sony Corporation as a response to the film The Interview, helped change perceptions in the United States of DPRK cyber capabilities—from a minor local nuisance directed at South Korea (the Republic of Korea, or ROK) to a major global strategic threat. The cyberspace domain of the future will most forcefully assert itself in urban areas. These urban areas will vary greatly in population density and spatial distribution, level of integration between systems, and the formality of systems. Within every urban area will exist complex physical cyber terrain and complex virtual cyber terrain. The number of connected devices, sensors, and tags in a UA will be staggering. The most significant systems in hyper-connected UAs will be the millions of personal area networks, and corresponding millions of discrete artificial intelligence programs. The adaptation of artificial intelligence in future networks introduces a new and potentially powerful actor in the cyberspace and land domains commanders will have to interact with to succeed in urban operations – the city itself. Megacities and dense urban areas of 2050 will not be not monolithic constructs, nor will the cyberspace domain within them. The level of integration within a UA and the formality of the computer systems will fluctuate between and within UAs. At urban cores, cyber infrastructure may be both highly integrated between systems, and highly formal. This means multiple, centrally designed and deployed networks put in place by city planners to effectively manage the various services in a city. Systems may become both less integrated and less formal the farther out from the urban core, but that is not a given, meaning every UA will fluctuate not only in a physical sense, but a virtual sense, block by block. A new report by Bloomberg News about Russia being suspected of recently hacking a dozen U.S. power plants, including a nuclear one, is far more serious than any possible attempt to influence an election. It could be a sign of something even scarier: two military superpowers stepping up a cyberwar in the shadows and without rules of engagement that protect civilians from other kinds of warfare. Attacks on power grids have a potential for mass destruction. 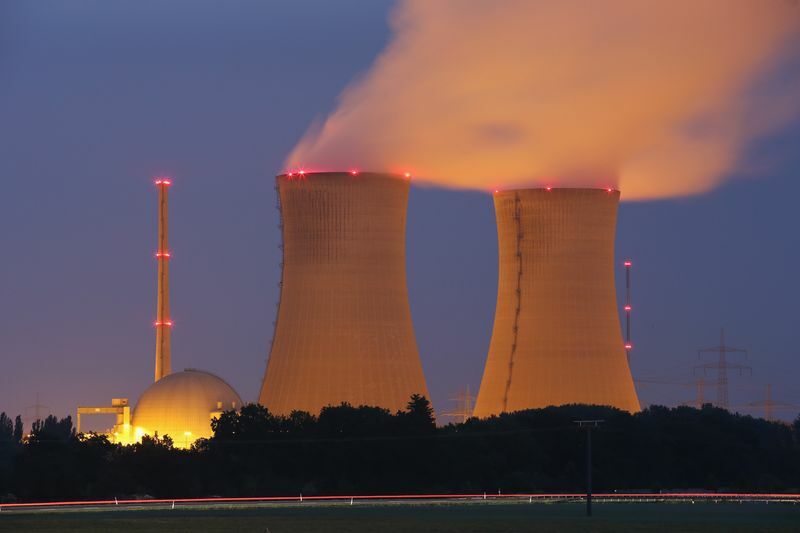 A temporary power outage doesn't appear to be all that threatening compared with the use of chemical, biological or nuclear weapons, but blackouts kill people even when they don't last long. During the East Coast blackout of 2003, some power was restored within seven hours, and still dozens of deaths were ascribed to the event. A lasting power grid breakdown could be an apocalyptic scenario, with hospitals and other critical services running out of fuel for reserve generators and unable to obtain it easily; traffic, food and water supplies disrupted; urban life plunged into chaos. And that's before we even think of nuclear power plants getting out of control. YORK – U.S. Senator Ben Sasse says the country is not prepared to defend or retaliate against one of its greatest threats against national security. Even more alarming is that most people don’t take the threat seriously. What needs to happen is a real national conversation, Sasse said Thursday when he visited York. And that needs to be accompanied with preparation and real action. The threat he was referring to?